Hire Purchase is Arnold Clark's best nearly-new and used car finance deal, created to give you low monthly car payments and a low fixed interest rate on your new car, making financing your car easy to understand. 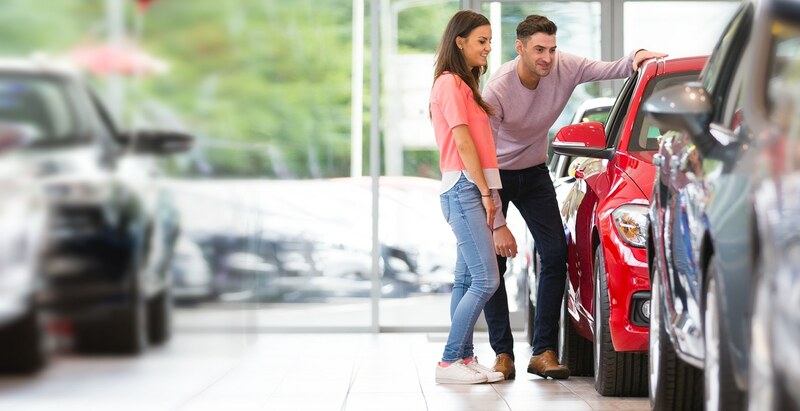 Hire purchase allows you to finance your car over a 12–60 month period and gives you the security that you own the car at the end of term while still getting the benefits of competitive car finance rates and low monthly payments. Offer subject to status. Terms and conditions apply. Hire Purchase is currently available on over 18,000 cars from Arnold Clark and all you have to do is look out for the Hire Purchase icon on your search results or filter your results to only show cars with Hire Purchase finance. You can also use our finance calculator to tailor the deposit and terms to suit your circumstances. With Hire Purchase we can offer a competitive rate of car finance because we work with a group of dedicated lenders to find you the best used car finance deal. There are so many different car finance options available but with Hire Purchase, unlike a PCP finance deal, there's no balloon payment at the end of your finance term, you own the car. Is the agreed fixed monthly payment you will make, each month, to eventually own your car. Is the price the car is being sold for. Is the amount of credit you are going to finance. Normally it's the cash price minus your deposit. This is a £1 fee charged at the end of your term to allow the ownership of the car to be passed to you. The amount you pay towards the car at the outset. The interest you pay on the total amount of the car for the entire duration of the deal. Often referred to as flat rate. The total amount payable for the car, including any interest payable over the term of your agreement. How many months you are financing the car over. APR is the total amount of interest on a loan. The lower % APR the less interest you pay back. Do you have a poor credit history but you're still interested in car finance? We work with a number of lenders to find you the best car finance deal, so try our car loan calculator to find your perfect car. Offer subject to status, terms and conditions apply. Get more detailed information, including information about our panel of lenders. Arnold Clark Automobiles Limited and Harry Fairbairn Limited act as credit brokers sourcing credit to assist with your purchase from a carefully selected panel of lenders (find them listed here). Lenders may pay us a fee for these introductions. A guarantor may be required. All offers and credit subject to status, terms and conditions. Applicants must be 18 years or over.